Make sure everyone gets the message: it's fiesta time! What better way to celebrate summer, Cinco de Mayo, or everyday relaxation than sipping a chilled margarita with salt and lime? 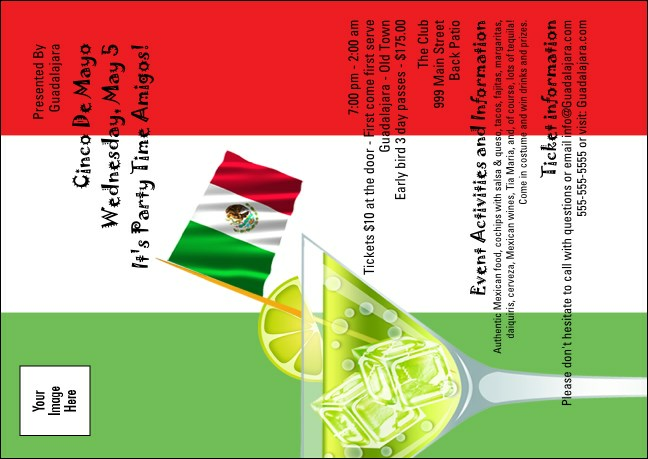 The South of the Border Club Flyer, part of a matching Event Kit, invites folks to do just that with a delicious, red, white, and green flag theme. What are you waiting for? Fill in the template and let TicketPrinting.com do the rest.